Because a prosecutor’s office (the office or office) fits within the definition of a law firm as a “government law office,” the same ethical rules that cover private law firms apply. See Rule 1.0[h] (defining “firm” or “law firm” to include “a government law office”). When a criminal defense lawyer in private practice (L) joins the office, other prosecutors may be vicariously disqualified under the imputation rules stated in Rule 1.10(a), [c]. And when L encounters matters involving former private practice clients in the office, he or she may be subject to personal disqualification under Rule 1.9 or Rule 1.11[d]. In any event, conflict issues will likely confront L years after switching sides from the defense to the prosecution. This article provides guidance to side-switching lawyers in this context — moving from private practice to a prosecutor’s office — when they confront issues arising from obligations to former clients. Lawyer conduct regarding former client conflicts is governed by the Rules of Professional Conduct (Rules) and the case law examining disqualification motions involving former client conflicts. The mere existence of a supposed “appearance of impropriety,” in the absence of an actual violation of the Rules or trial taint, is often disfavored as a basis for the disqualification of counsel. It is often held that an appearance of impropriety, by itself, is “too slender a reed” upon which to base an order disqualifying counsel. Catalina Reyes v. Golden Crust Caribbean Bakery, 2016 WL 4708953 (SDNY 2016); Gellman v. Hilal, 159 Misc.2d 1085, 607 NYS2d 853, 855 (Sup. Ct. N.Y. Co. 1994); N.Y. City 1996-3, 1996 WL 1581122; W. Fortune, R. Underwood and E. Imwinkelried, Modern Litigation and Professional Responsibility Handbook, Aspen: 2001 at 128–129 (commenting on the decline of the appearance principle). Nevertheless, in the context of lawyers who move from government positions to private practice, Rule 1.11(a), (b), the appearance principle is explicitly stated. Rule 1.11(b)(2) (other lawyers in firm can continue to represent clients who were involved in investigations in which lateral lawyer “participated personally and substantially as a public officer or employee” if certain factors are met, including that “there are no other circumstances in the particular representation that create an appearance of impropriety”). But the principle is not incorporated in the Rules governing lawyers who move from private practice to government positions. See Rule 1.11(d) (no reference to appearance of impropriety in this context). This omission permits the inference that the drafters of the Rules intended the appearance principle to apply only to conflict situations in which the lawyer moves from a government employment to private practice, which is not the situation discussed in this memo. Accordingly, the appearance principle is not considered in this memo unless the Rules explicitly make reference to the principle. Once L becomes a prosecutor, he or she is required to safeguard “confidential information,” see Rule 1.6(a) (defining the term), pertaining to his or her former clients. Rule 1.9 (“Duties to Former Clients”). This Rule prohibits a lawyer from opposing a former client in a matter “substantially related” to the prior representation. Rule 1.9(a) (“A lawyer who has formerly represented a client in a matter shall not thereafter represent another person in the same or substantially related matter in which that person’s interests are materially adverse to the interests of the former client unless the former client gives informed consent, confirmed in writing.”). By the Rule’s terms, a violation of Rule 1.9 may result in the personal disqualification of L in appropriate circumstances. According to a Comment to Rule 1.9, “[m]atters are substantially related if they involve the same transaction or legal dispute or (emphasis supplied) if, under the circumstances, a reasonable lawyer would conclude that there is otherwise a substantial risk that confidential factual information that would normally have been obtained in the prior representation would materially advance the [current] client’s position in the current matter.” Rule 1.9, comm. 3. The first line of inquiry is whether the prior representation is “substantially related,” Rule 1.9(a), to a case currently prosecuted by the government law office. “…[I]f the issues in the two cases are identical to each other, or essentially the same, then the matters are said to be substantially related. Alternatively, if the information [emphasis in the original] generated in the first matter is substantially related to a material issue in the subsequent matter, then the cases are deemed substantially related.” Matter of Jalicia G.,41 Misc.3d 931, 971 NYS2d 831, 837 (Family Ct. Bronx Co. 2013). In other words, Rule 1.9(a) kicks in if the prior representation covers some of the same ground as the side-switching lawyer’s new case or there exists the risk that the lawyer obtained confidential information in the old case that would help his office in the new case. See R.M. Buck Construction Corp v. Village of Sherburne, 292 AD2d 36, 740 NYS2d 154 (3d Dept. 2002) (matters found substantially related where village retained law firm against construction contractor during the bidding process and the same firm later represented contractor in litigation concerning the same project); Crawford v. Antonacci, 297 AD2d 419, 746 NYS2d 94 (3d Dept. 2002) (matters found not substantially related in a case involving workers’ compensation claims 13 years apart and involving different parts of claimant’s body despite assertion that information gained in the prior representation could be useful in the current case). In addition to personal disqualification required of all lawyers under the “substantially related” principle stated in Rule 1.9, a lawyer in government service “shall not participate in a matter in which the lawyer participated personally and substantially while in private practice…” Rule 1.11[d](1). The first reference to “participate” gives paragraph [d] a much wider scope than the second reference, which is confined to “personal and substantial” involvement in a prior representation. Id. (emphasis added). “The disqualified lawyer may not supervise other lawyers working on the matter, discuss the case with them…or otherwise participate in any fashion in the forbidden matter.” R. Simon, Simon’s New York Rules of Professional Conduct Annotated, West: 2012 at 539. Yet 1.11[d] should not be interpreted as disqualifying the entire office as explained in the next section. Research reveals no New York case explaining “personally and substantially,” but the U.S. Department of Justice suggests that “substantially” could mean even a minimal involvement in a case. “The ‘substantial’ participation requirement means participation in the substance of the prior matter and does not require some particular quantum of effort expended.” S. Ludwig, “The Revolving Door: Professional Responsibility Considerations for Attorneys Entering or Leaving the Department of Justice,” United States Attorneys’ Bulletin, September 2009. In any event, the combination of Rules 1.9 and 1.11[d] would personally disqualify L in many of the cases he or she confronts as a prosecutor. The issue now at hand is whether other lawyers in the same office are vicariously disqualified from prosecuting an accused on the grounds that L is personally disqualified. The issue of vicarious disqualification is governed by Rule 1.10(a). “While lawyers are associated in a firm, none of them shall knowingly represent a client when any one of them practicing alone would be prohibited from doing so by Rule 1.7, 1.8 or 1.9, except as otherwise provided therein.” Because Rule 1.7 and Rule 1.8 deal with current client conflicts, analysis of the Rule 1.10(a) imputation rule is confined here to former client conflicts, the subject matter of Rule 1.9. Rule 1.10 does not mandate disqualification in all cases involving former client conflicts. Assume, for example, that L — as an “on call” arraignment-only counsel — represented D in a felony arraignment on an assault charge and subsequently had no other involvement in the case. Years pass, L has moved from the defense side to the prosecution, and L’s office is now prosecuting D in a factually unrelated petit larceny case. Suppose that D disclosed no confidential information to L and that under the circumstances it appears reasonable that a lawyer in L’s position would not have obtained any confidential information that could be used against D in the current case. Also assume that D was convicted of a criminal charge in the assault case. Is L’s office disqualified from prosecuting D for petit larceny? In the context of former client conflicts, the Rule 1.10 imputation rule applies only where the personally disqualified lawyer was involved in a prior representation that is substantially related to a current case handled by his office. If the assault and petit larceny cases are factually unrelated and do not require the resolution of a particular legal issue common to both cases and if the circumstances do not suggest that L acquired confidential information that could be used against D, there would be no breach of L’s 1.9 duties to his former client and therefore vicarious disqualification under Rule 1.10 would not be triggered. L’s knowledge of D’s criminal conviction likely does not constitute “confidential information” because this information would seem to fall within the exception for facts that are “generally known.” Confidential information does not usually include “information that is generally known in the local community or the trade, field or profession to which the information relates.” Rule 1.6(a); Rule 1.9[c] (re-stating the exception in matters dealing with former clients). Nor would Rule 1.11[d] impute L’s conflict to the rest of his office. The imputation rule in Rule 1.10 is triggered by disqualifications arising from Rules 1.7, 1.8 and 1.19, not 1.11[d]. Indeed, Rule 1.11[d], which governs the conduct of government lawyers, invites the (unwarranted) conclusion that the imputation rules do not apply to government law offices. Whether vicarious disqualification applies to a government official via Rule 1.9 and Rule 1.10 requires consideration of Rule 1.11[d]. “…(a) lawyer currently serving as a public officer or employee shall not 1) participate in a matter in which the lawyer participated personally and substantially while in private practice….” Rule 1.11[d]. By its terms, Rule 1.11[d] only requires the personal disqualification of the government official not the vicarious disqualification of her office. As NYSBA suggests, “…[P]aragraph [d] contains no special rules providing for imputation of the conflict addressed in in paragraph [d] to other lawyers in the agency.” Rule 1.11, Comm. 9(b). This Comment opines in a single paragraph that “where paragraph [d] bars one lawyer in a government law office from working on a matter, other lawyers in the office may ordinarily work on the matter” and then follows up by offering this guidance: “Where a government law office’s representation is materially adverse to a government lawyer’s former private client, however, the representation would, absent informed consent of the former client, also be prohibited by Rule 1.9.” In other words, adverse interests involved in the prior and current representation will trigger the imputed disqualification of the government law office. Comparison of New York Rule 1.10 and ABA Model Rule 1.10 suggests that the Rules’ drafters intended to apply the principle of vicarious disqualification to side-switching lawyers who go to work for a government law office. Under the ABA Model Rules governing the imputation of conflicts of interest, “[T]he disqualification of lawyers associated in a firm with former or current government lawyers is governed by Rule 1.11.” Model Rule 1.10[d]. No such provision is found in the New York Rules. Thus, New York Rule 1.11 does not create an escape hatch for government law firms subject to disqualification under Rule 1.10. Such an escape was proposed by NYSBA prior to the adoption of the Rules by the Court system in 2009. The association proposed a Rule stating that a government law office “is not subject to Rule 1.10.” R. Simon, “State Bar Amends & Adds Comments to Rules of Professional Conduct (Part I),” New York Professional Responsibility Report, August 2011. That proposal was not accepted by the Administrative Board, and thus did not make it into the final Rules. See NY Eth. Op. 900 12/28/2011 2011 WL 7784114 [NYSBA] (imputed disqualification applied to county attorney’s office); NY Eth. Op. 862 5/10/2011 2011 WL 7784072 [NYSBA] (imputed disqualification applied to county public defender office). Although the Rules do not offer crystal clear guidance about the application of imputation principle to government law offices, the state bar’s unsuccessful effort to insert a “no imputation” provision into the Rules regulating such offices suggests that the Administrative Board opposed special treatment for government lawyers. See L. Emanuel, “COSAC Recommends Adoption of ABA Model Rules Format,” New York Professional Responsibility Report, December 2005 (noting a NYSBA proposal — unsuccessful to date — to largely exempt government law offices from the imputation principle). Accordingly, this article assumes that Rule 1.10 applies to the Office of the District Attorney where the subject matter of the prior representation is substantially related to a case handled by L when he or she was in private practice and is now in a position adverse to the former client. A prior representation creates the presumption that counsel obtained confidential information protected by New York professional standards. But imputed disqualification is not an irrebuttable presumption. Solow v. Grace, 83 NY2d 303, 610 NYS2d 128, 131 (1994). “…[N]ot all situations involving imputed disqualification mandate that other members of the firm be barred from representation…. [I]f it is not clear as a matter of law that disqualification of the entire firm is required, the firm should be given an opportunity to rebut the presumption.” R.M. Buck, 740 NYS2d at 156, supra (internal citation omitted). The presumption of disqualification may be rebutted by proof that the lawyer had no opportunity to acquire confidential information or that “any information acquired by the disqualified lawyer is unlikely [emphasis in original] to be significant or material in the litigation.” Rodeo Family Enterprises v. Matte, 2011 WL 1879056 (Sup. Ct. Nassau Co. 2011). This black letter principle is rooted in cases decided prior to the publication of the Rules in 2009. See Kassis v. Teacher’s Insurance and Annuity Association, 93 NY2d 611, 695 NYS2d 515 (1999). In Kassis, a lawyer joined plaintiff’s law firm after working for the defendant in the same matter. In the prior representation, the lawyer conducted several depositions, appeared as sole counsel in mediation sessions and had regular contact with the client. Id. In such a situation, the presumption that the lawyer obtained “material confidences is especially heavy.” Id. Applying Kassis to the criminal context, the prosecution will likely be able to rebut the presumption of disqualification in a case in which L appeared just once at arraignment as an “on call” counsel in a felony case factually unrelated to the prior representation. On the other hand, rebuttal of the presumption would be unlikely — even in a factually unrelated cases — in a case in which L in the prior representation took the case to trial after months of plea negotiations and motion practice. This analysis applies to L’s closed prior representations. But in prior representation cases that are open when L joins the prosecution, disqualification is virtually assured. By definition, the subject matter of L’s prior representation of the defendant is the same case as the one the office is now prosecuting. 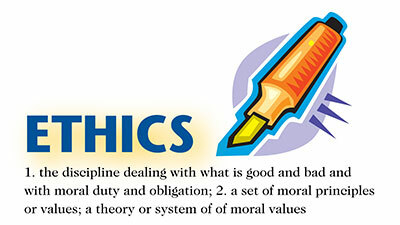 The successful rebuttal of the presumption of disqualification raises a separate issue, ethics screens. An ethics screen “denotes the isolation of a lawyer from any participation in a matter through the timely imposition of procedures within a firm that are reasonably adequate under the circumstances to protect information that the isolated lawyer or the firm is obligated to protect under these Rules or other law.” Rule 1.0(t). While the Rules expressly authorize screening to side-switching government lawyers going into private practice, see Rule 1.11(b), there is no comparable provision for lawyers in private practice going into government service. This Rule exempts a private law firm from imputed disqualification when the requirements for a screen have been satisfied and there is no appearance of impropriety. But screening does not cure imputed conflicts for the side-switching private lawyer who enters government service. Rather, an ethics screen is used in those cases in which the facts requiring disqualification have been rebutted. This constitutes a “belt and suspenders” approach to eliminating the taint created when a lawyer moves from one firm to another and the prior representation involves facts or confidences relevant to a case handled by the lawyer’s new firm. When a law office rebuts the presumption that it possesses confidential information adverse to a former client, “a ‘Chinese wall’ (now referred to as a screen or ethics screen) around the disqualified lawyer would be sufficient to avoid firm disqualification.” Kassis v. Teacher’s Insurance, 695 NYS2d at 517, supra. In some situations, however, the erection of an ethics screen will be considered “inconsequential.” See Kassis v. Teacher’s Insurance, 695 NYS2d at 520. The Kassis Court came to this conclusion after noting the side-switching lawyer’s significant involvement (depositions, mediation conferences and regular client contact) in his prior representation of a party now adverse to him in the same matter. The requirements for constructing an effective ethics screen are left for another article, but it should be noted the timeliness of the screen is an important factor. Screens erected after confidential information has been disseminated (or possibly disseminated) do not provide convincing assurance about a firm’s protection of client confidences. “The smart way to avoid these difficult questions [about the protection of client confidential information] is to routinely set up a Chinese Wall around every lateral hire before she sets foot in the new firm.” R. Simon, “Court of Appeals Disqualifies Firm Despite Chinese Wall,” New York Professional Responsibility Report, August 1999. It is not necessary for a District Attorney’s office to disqualify itself in every case in which a member of the office previously represented a defendant. The appointment of a special prosecutor in former client situations is expensive, time consuming and something to be avoided where possible. In some cases there may not be grounds for personal disqualification and even when one lawyer is personally disqualified that taint may not be imputed to the office as a whole. Professional responsibility standards should be considered before the alarm bell for a special prosecutor is sounded and before former client conflicts subject counsel to criticism from the bench or action by Appellate Division disciplinary committees. Brad Rudin is an assistant district attorney in New York State. Betsy Hutchings is a prisoners’ rights lawyer in New York State.